Set to deploy L4 in Russia. 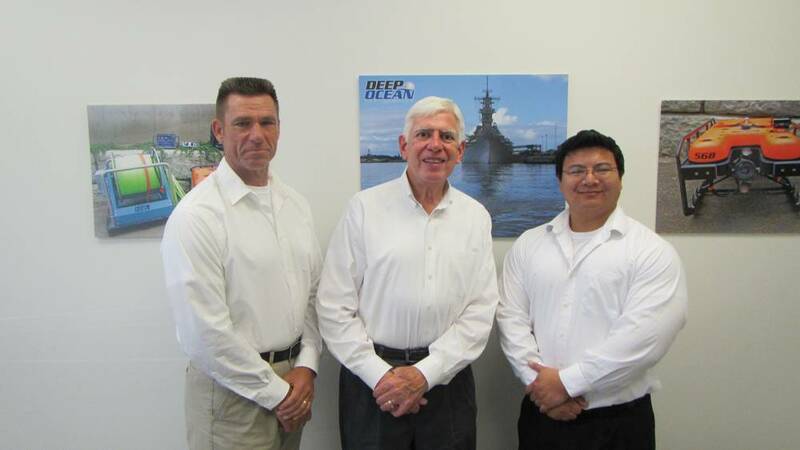 Last month MTR sat with Deep Ocean Engineering – Robert Sabo, President & Corporate Secretary; John Bergman, Vice President of Engineering; and Mike Takeda, Director of Operations – to discuss recent advances in the field of ROV outfit and operation. For our readers not familiar with Deep Ocean Engineering, please provide a brief company history as well as information that give them the size, scope and depth of your current product line and operations. Takeda: Deep Ocean Engineering, Inc. is a privately owned small business founded in 1982 and is incorporated in California. Deep Ocean Engineering is a technology-based engineering and manufacturing company that provides integrated robotic solutions for various underwater applications in harsh and diverse operating environments. 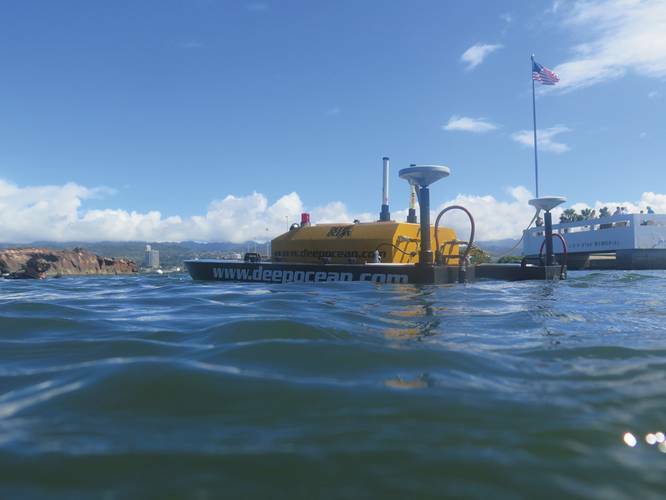 Deep Ocean designs, builds and tests its remotely operated vehicles (ROVs) from its plant in California. Deep Ocean has been in operation for over 30 years and has sold more than 600 ROV systems in over 30 countries worldwide. Deep Ocean’s ROV systems have been used in a broad range of industry applications - military, security, salvage, long tunnel and pipeline inspection, customs, nuclear and hydroelectric power plants, dams and lakes, offshore oil and gas servicing, scientific research and education, fisheries and broadcast filming. Customers include the military organizations of 25 countries (including the U.S. Navy, Naval Surface Warfare Center, Explosive Ordinance Disposal, Naval Facilities Engineering and Service Center and Army Corps of Engineers), the FBI, Canadian Defense, UK Customs, various utility power companies, science, law enforcement and security groups. As part of Deep Ocean’s efforts to bring the latest technology to the market, Deep Ocean has recently diversified its product line with the introduction of unmanned surface vehicles (USVs). Leveraging the knowledge and experience of the ROV world, the new USV product line continues that same tradition of an integrated robotic solution for various marine applications. In addition to offering a complete range of standard ROV and USV systems, Deep Ocean provides customized solutions for clients with specific requirements. Tailor-made solutions are engineered from component technologies, which have been proven in various industry applications. The engineering and manufacture of appropriately configured submersible delivery systems also include the integration of a wide variety of sensors, tools, electronic navigational controls and tracking systems, instrumentation packages and accessories. Bergman: Deep Ocean Engineering (DOE) has diversified its product offering to include both ROVs and USVs. 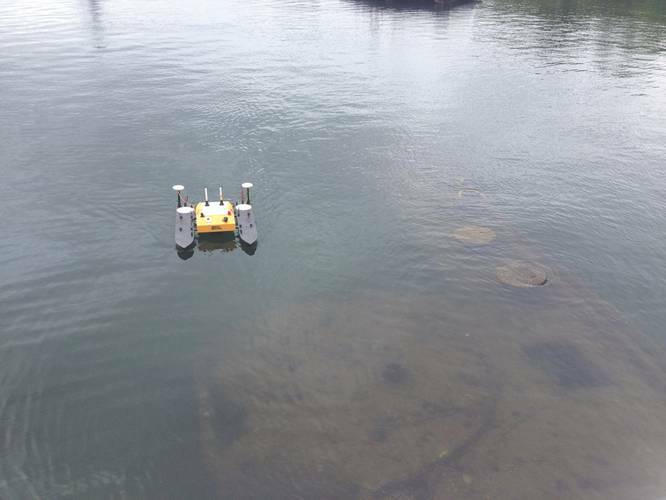 Our USVs can be controlled either manually or autonomously for many survey scenarios. Bathymetry, ADCP, multibeam sonars, HD video, LIDAR, etc. From the small I-980 (0.98 meters) to the I-1650 (1.65m) and the H-1750 Catamaran (1.75m) which was used for the multibeam survey of the USS Arizona and USS Utah in Pearl Harbor. 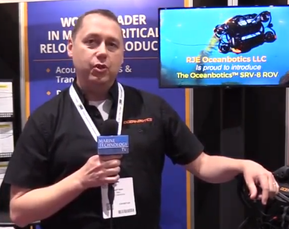 Three standard ROV product lines/classes. Additionally, special projects like Hydro Quebec’s hydroelectric survey system, etc. 1) Nuclear inspection ROV: Our line of nuclear inspection systems (the Firefly, Dragonfly, and Phantom 150 to name a few) survive and thrive in the extreme environments of heat and radiation inside a reactor where reliability is paramount. 2) Observation ROV: The T series, 300m depth – Really, the “observation class” ROV has been redefined here at DOE. This class has morphed past having just an SD video channel as its primary sensor. Now it includes multiple HD video channels, multibeam imaging sonars, DVL, INS, USBL, along with a manipulator for light intervention, etc. In fact, our T5 outfitted with the Homeland Defense skid has all of these sensors and still has available expansion ports as standard. It should be noted that even though these small, man-portable, systems can be heavily loaded with all these work-enabling gizmonics, they are stable platforms. The T5 has what I would call a ridiculous amount of thrust, significantly more than the ROV’s dry weight. I have yet to hear anyone complain about having too much power. 3) Light work class ROV: The L and S series, 500 and 1000m depth respectively – larger, heavier, systems that are capable of carrying larger sensors, providing even more power, and, all the while, doing it deeper. These larger systems are often outfitted with electro-hydraulic manipulator(s)/tools. From previous conversations, I realize the importance of fiber optics to the concept of your vehicles. For the benefit of our readers, kindly explain how fiber optics has enhanced the DOE line of vehicles. Bergman: Fiber Optics are nothing new at DOE. We have been using them for at least the last 20 years. Now it actually reduces the price of the umbilical since it allows the umbilical design to use much less copper. The umbilical can be thinner, reducing drag and improving performance. And, of course, delivering the bandwidth that today’s sensors demand. Also, terminating modern FO umbilicals is a simple task that can be done quickly in the field by technicians without any special skills, all at a very low cost. Obviously there are still some that have not bought into the Fiber Optic solution. Can you explain some of the perceived drawbacks to fiber optic use, and provide insight why you believe that those objections are not valid. Bergman: Deep Ocean Engineering has been around for many decades now, making ROVs since pioneering this market in the early 1980s and, as such, still has relationships with of “old school” customers that only feel comfortable with a wire that they can solder. Also, they may remember horror stories about fiber terminations. Terminating a fiber tether is a breeze now. Also, the world of digital telemetry may seem daunting to those that have spent most of their career in the analog world. I’m sure that they often had to be magicians, finding a way to multiplex one more signal or find an extra wire or two. Now, all the copper in the tether can be used for what it does best, transmit power with plentiful signal paths up the fiber. Aside from fiber optics, what do you see as the characteristics of your vehicles that make them unique in this space? Bergman: Durability, these systems last for decades. Stability, users get the best video and exceptional data quality. Expandability, standard spare ports provide power and telemetry for whatever needs present themselves to a customer in the future. Simplicity, these systems are easy to use and interface to. And, lots of power - can’t have too much of that. Also, it’s the support of the factory. DOE really goes the extra mile to support our customers for the decades of use we expect to see from our systems. Please discuss how the recent downturn in the offshore oil and gas markets have affected your business? Bergman: The downturn in the offshore oil and gas markets has not made an impact to our overall sales. Fortunately, Deep Ocean Engineering is well diversified in the markets it serves besides oil and gas. These markets include port and harbor security, military, homeland defense, nuclear and hydroelectric power plants, inshore dams and lakes, scientific research, fisheries, salvage, search and recovery, broadcast filming, hydrographic surveys and pipeline inspections, to name a few. When you look at the markets you serve today, where do you see bright spots, and why? Bergman: By niche and back to our roots. 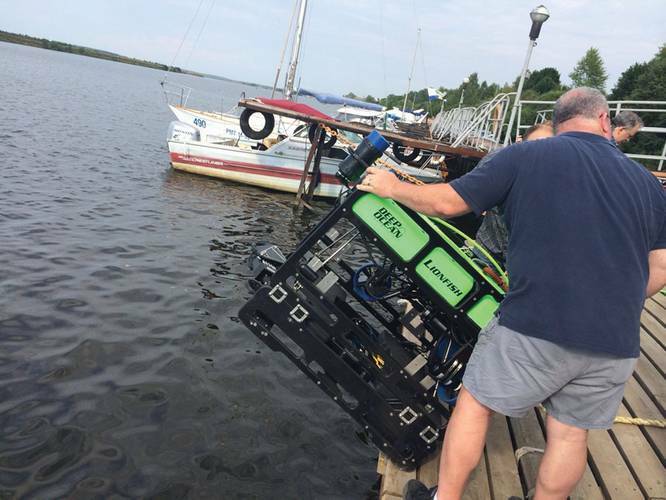 The “T” series ROV provides affordable and formidable capability to many users that would otherwise either have to use survey boats and put divers at risk. These systems are easy to transport and can deploy quickly from a vessel of opportunity. This has, and will continue to be, DOE’s primary market. What ONE technology has had the greatest impact on DOE’s ability to provided engineered solutions to the subsea market? Bergman: If I had to pick one technology, it would be computers, both embedded and PCs. Legacy Phantom ROVs were “hard-wired,” and, at the time, this was a strength. They had the majority of electronics located on the surface so even if the system was flooded, I could be hosed out, dried, and back in business in a couple hours. This architecture isn’t practical with longer tether lengths and the bandwidth requirements of modern sensors. Now, with our open frame designs, we can mount new hardware and sensors anywhere. Going digital has made our tethers small in size yet dripping fat with telemetry space. In short, computer technology allows for a standardized footprint that can accommodate nonstandard applications, things we can’t anticipate but can certainly be prepared for. 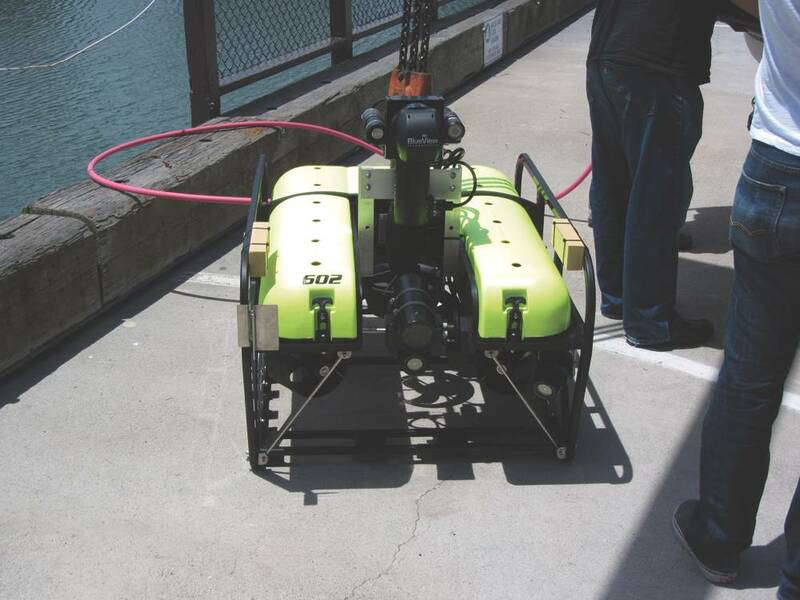 DOE’s ROV systems are ready for anything the market demands now and in the future. Deep Ocean Engineering participated in the first comprehensive multibeam survey of the USS Arizona and the USS Utah at the World War II Valor in the Pacific National Monument in Pearl Harbor, Hawaii. During a week in October 2014, team members from Deep Ocean Engineering, Inc, R2Sonic, Autodesk, and eTrac traveled to Oahu to conduct these surveys as a gift to the National Park Service. In the months leading up to this survey, R2Sonic contacted Deep Ocean to use its their H-1750 USV as an unmanned platform to operate their SONIC 2020 multibeam. Typically, these surveys are completed using a 2-3 manned vessel with an affixed multibeam but the survey site above the USS Arizona has a height restriction where a manned vessel cannot navigate. The memorial building that straddles the USS Arizona makes for a low ceiling above the water at various tides. Couple that with the shallow depth of water above the sunken ship and there is a very tight set of survey vehicle characteristics that must be met. The survey’s goals were reached and 100 percent high resolution sonar coverage was obtained of both sunken warships to replace the artists’ rendition surveys from some 30 years prior. This will yield high quality measurements of the ship that can be repeated over time and from there, changes such as shifting, settling, and coral growth can be evaluated, something that was absent from the surveys from 30 years ago. 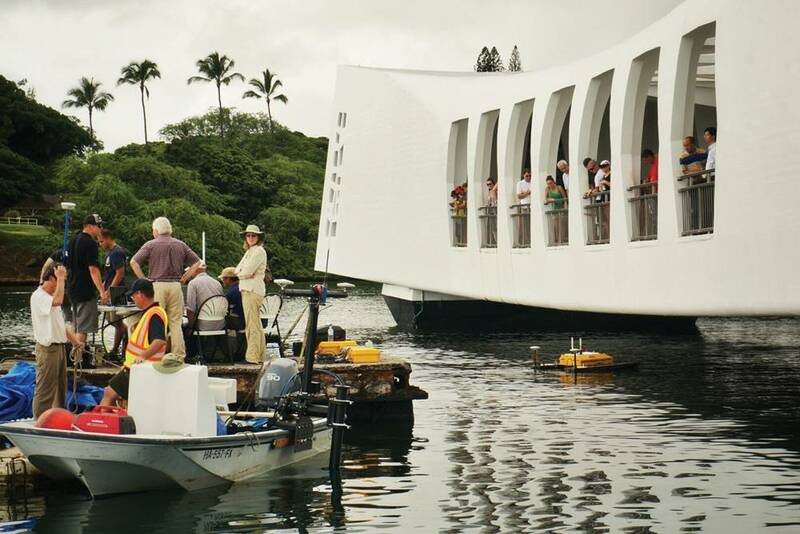 Not only will it provide a long term monitoring baseline, but a 3D scale model of the USS Arizona will be created and used for display purposes at the memorial site.